NEW YORK (CBS) — Recent changes to New York State’s STAR property tax relief system are creating headaches for some local homeowners. Under new state rules, anybody who bought a home after 2015 will no longer see their school property tax bills reduced. Instead, they have to wait for the state tax department to issue a rebate check. Checks were supposed to be mailed out in September, but as WLNY TV 10/55’s Richard Rose reports, lawmakers in Long Island say they’re getting dozens of calls from homeowners wondering where their money is. 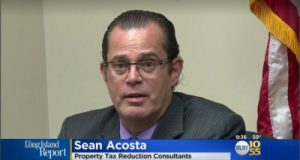 Sean Acosta from Property Tax Reduction Consultants said that people have been calling his office, complaining that their October school tax bill was already due. The state tax department is vowing that all rebate checks will be mailed out by December 31st.